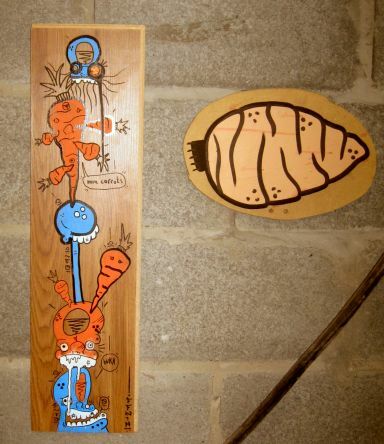 Carrot Boy and the longest carrot in art! 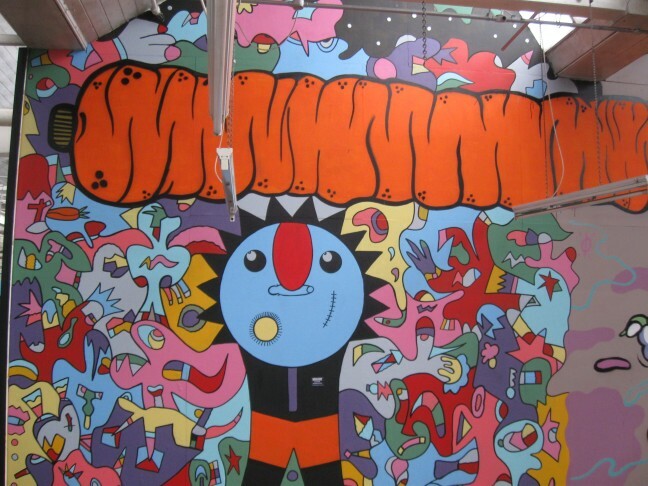 More than 40 street artists and illustrators have spent around two months covering the walls of a 14,000 sq ft former cloth weaving mill in Farsley, near Leeds in the UK, with their colourful creations. The mill is now demolished. 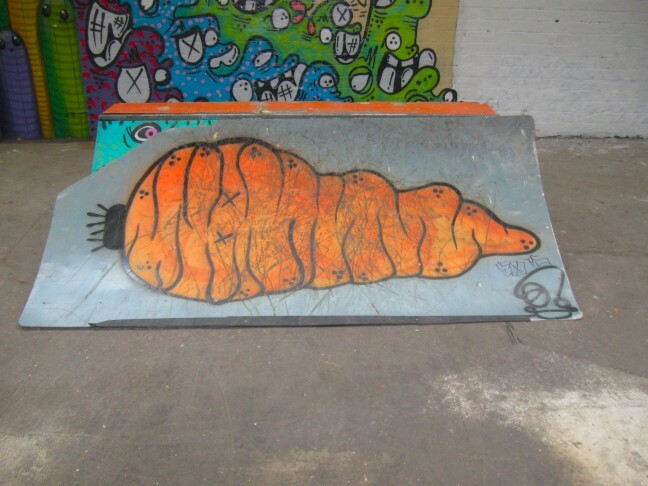 Carrotboy finished the work on 5 September 2015 and visitors were being invited to add to the mural as he bids to create an unofficial world record for the world’s longest painted carrot. 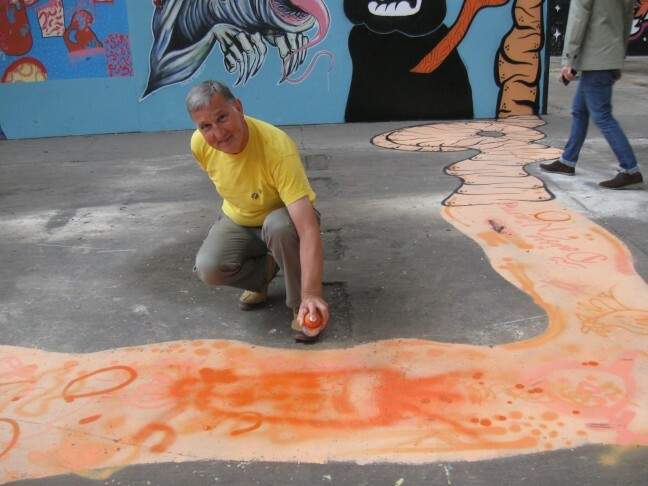 The Arts Council funded street art project at Sunnybank Mills Art Gallery is designed to encourage artists to use their talents to create a major artwork which en courages community involvement. The final piece measured well over 275 feet and is certainly the longest recorded n the world! 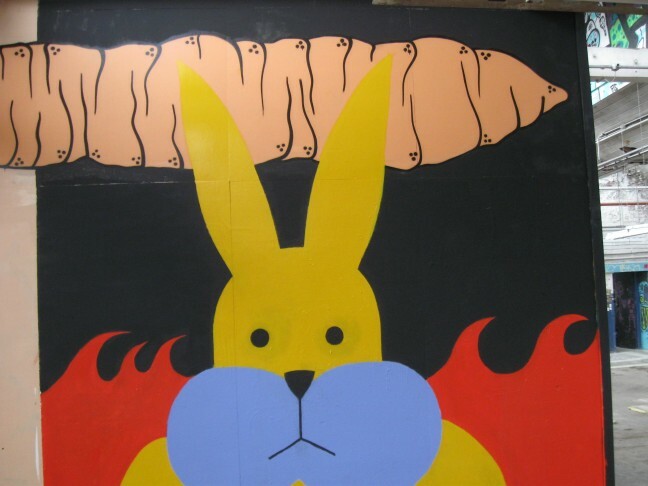 Jane Kay, gallery manager, said the street artists have been ‘throwing up’ their artworks to transform the old mill. 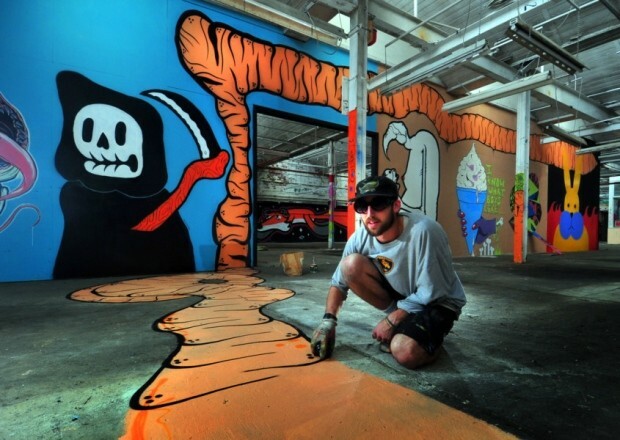 She added: “‘Throwing up’ is a street art term for painting a large section of a wall very quickly. 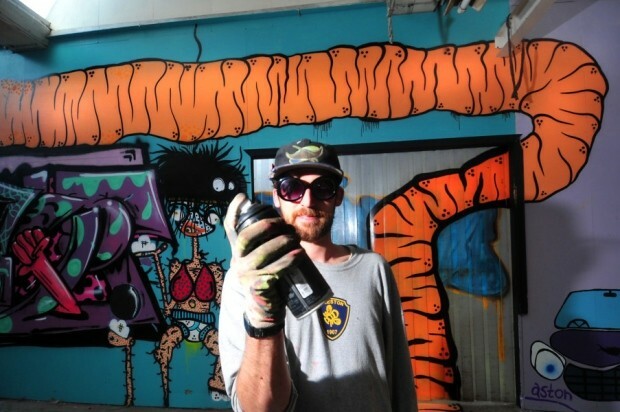 They have to paint the wall very quickly because street art is an illegal activity, but we have allowed the artists to do it legally. 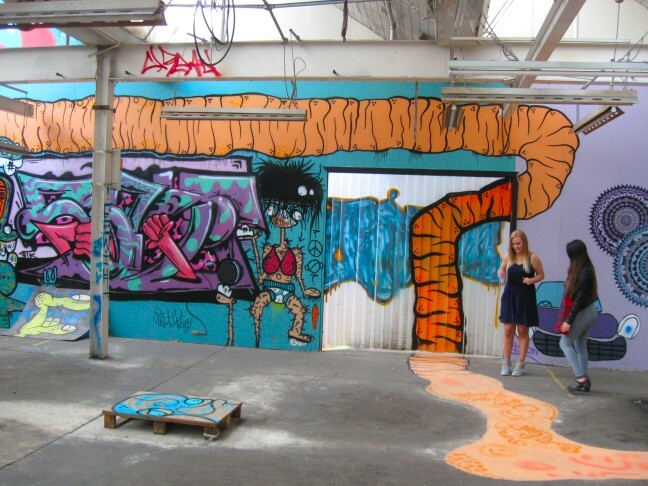 The old weaving shed is nearly the size of a football field and nearly every piece of wall has now been covered in street art. It is very bright and colourful and is an impressive space. 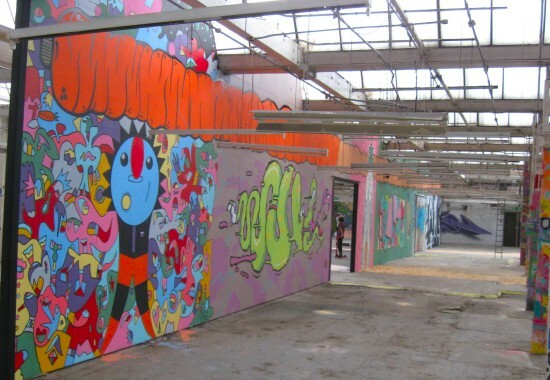 The street artists have done an amazing job of transforming a virtually derelict building into an urban environment. Sadly the premises will be demolished quite soon, but no doubt the world record will stand for some time. 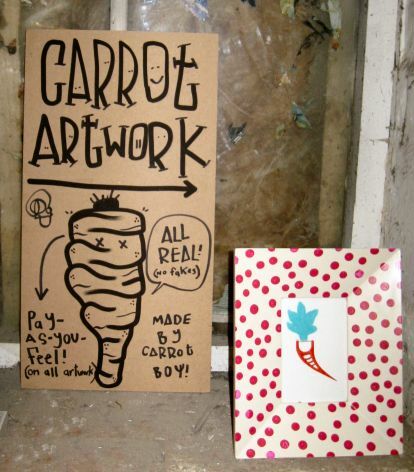 Carrotboy, 23, who describes himself as a repetition artist, said he has painted around 50 carrots in the past year. 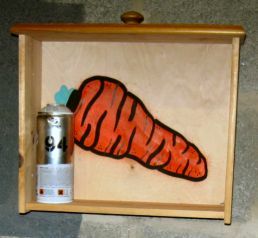 He says he is happiest when painting carrots. 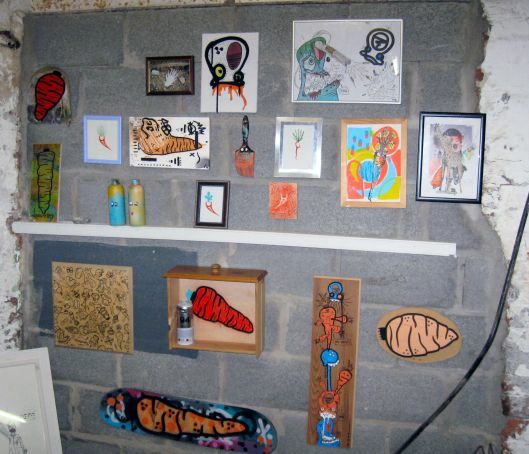 See more of Carroboy's work in his blog here.